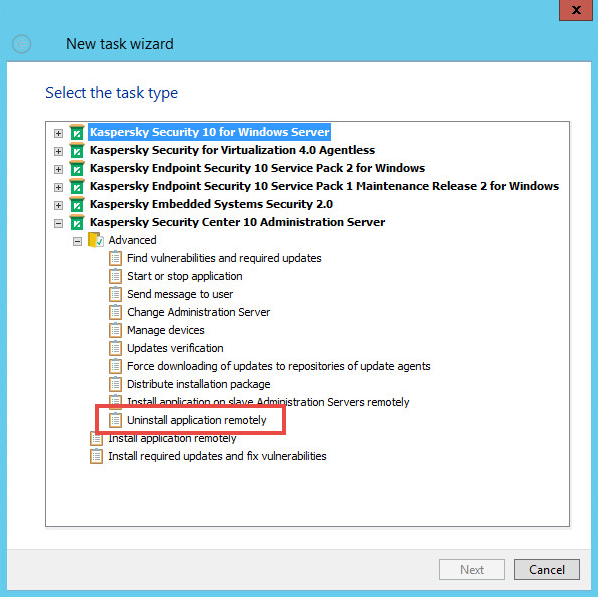 The article concerns Kaspersky Endpoint Security 10 for Windows Service Pack 1 Maintenance Release 2 (build 10.2.4.674) and later. Open Control Panel → Programs and Features. 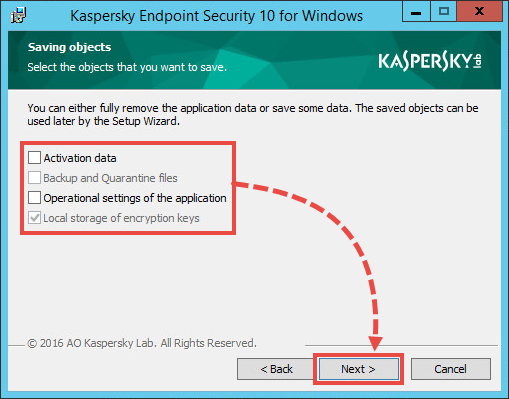 Select Kaspersky Endpoint Security 10 for Windows and click Change. 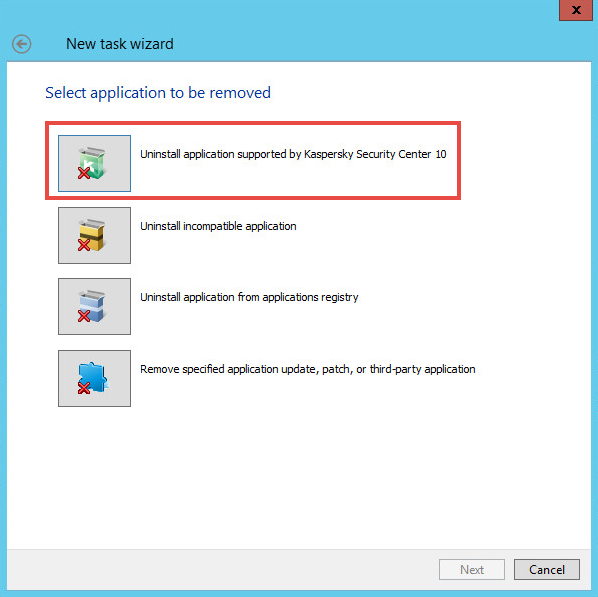 In the installation wizard window, click Remove. Activation data – information about the key file or activation code.It can be detected and used if you reinstall the application. Backup and Quarantine objects – files moved to Quarantine or to the backup storage. If the checkbox is inactive, then your quarantine and backup are empty. Operational settings of the application – current configuration of all protection components. Local storage of encryption keys - data providing direct access to encrypted files and devices. The checkbox is selected by default. Upon removal, restart the computer. In the interactive mode that requires user’s participation. Group tasks for managed devices located in the same group. Tasks for selected devices which can be chosen from any group of managed devices. Select the group of devices, for example, Managed devices. Go to the Tasks node and click Create a task in the right frame. Open the Administration Server, click Advanced → Remote uninstallation. Click Uninstall the application supported by Kaspersky Security Center. Select the application for removal. Configure the operating system restart. Select the user account for running the task. Enter the name for the task. If necessary, select the checkbox Run task after Wizard finishes. Click Done. Run the task manually or want until it runs according to the schedule. 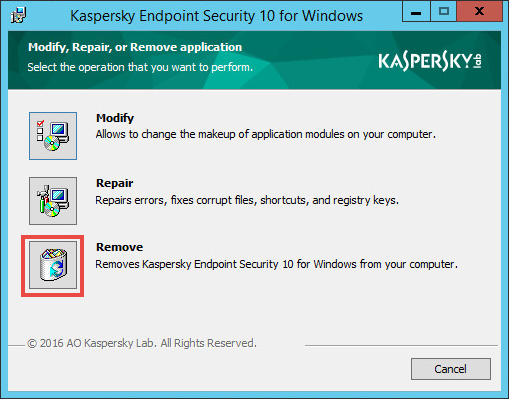 The Kaspersky Endpoint Security 10 for Windows remote uninstallation task will start. Go to the Tasks node and click Create a task in the right frame. Select networked devices detected by Administration Server. Select devices the Administration Server has detected. Specify device addresses manually, or import addresses from list. Specify NetBIOS names, DNS names, IP addresses and ranges. 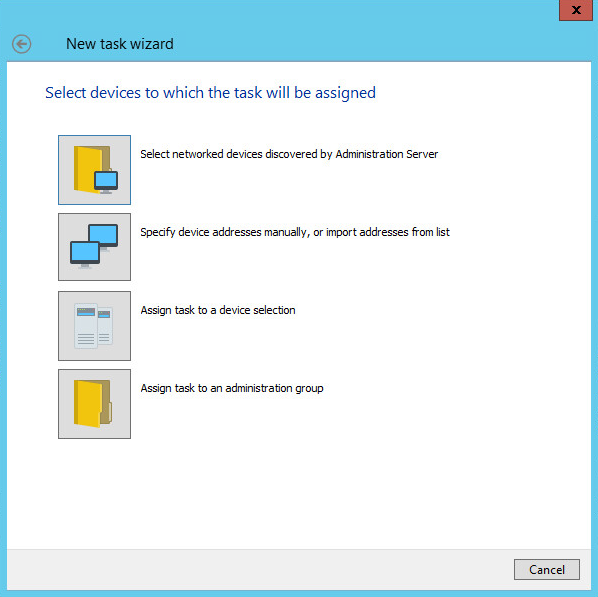 Assign task for device selection. Specify the device selection. Assign task to an administration group. Assign the task to the existing group of managed computers. If the removal of Kaspersky Endpoint Security 10 for Windows is password-protected, go to the Uninstall application remotely task properties, open the Settings section and select the Use uninstall password checkbox. 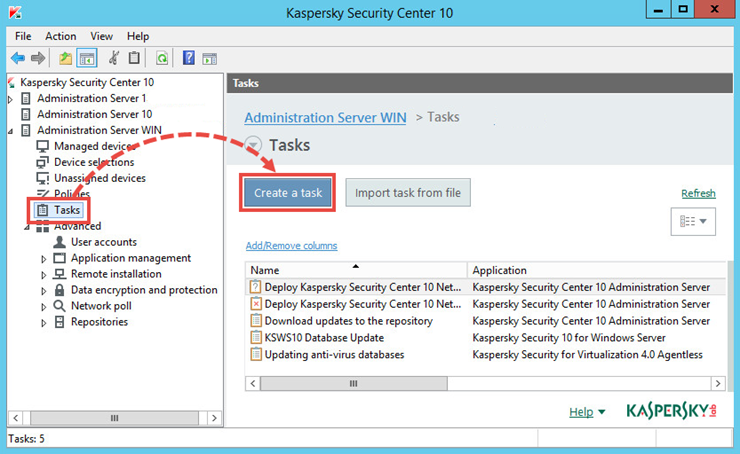 In a domain network, you can uninstall Kaspersky Endpoint Security 10 for Windows using group policies. Open the Group Policy Management console using the command gpmc.msc. Go to Group policy objects. Open the object for editing. In the Group Policy Management Console, go to Computer Configuration → Policies → Software Settings → Software installation. Right-click the installation package and select All Tasks → Remove. In the Delete Applications window, select Immediately delete this application from all user computers. 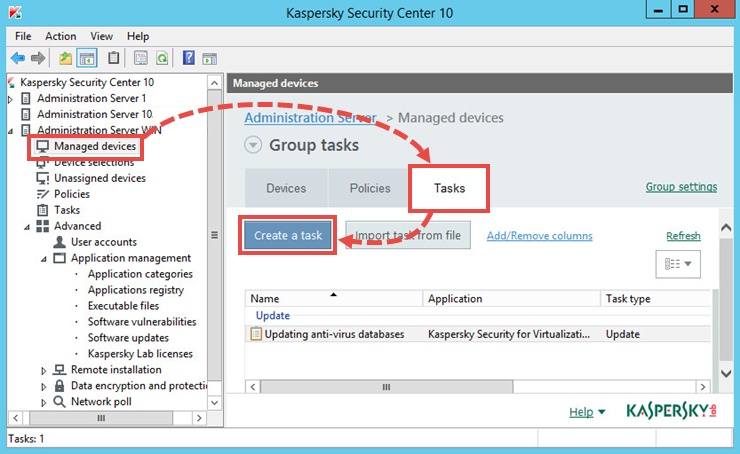 After the group policy is applied on managed devices, Kaspersky Endpoint Security 10 for Windows will be removed at the next system restart.